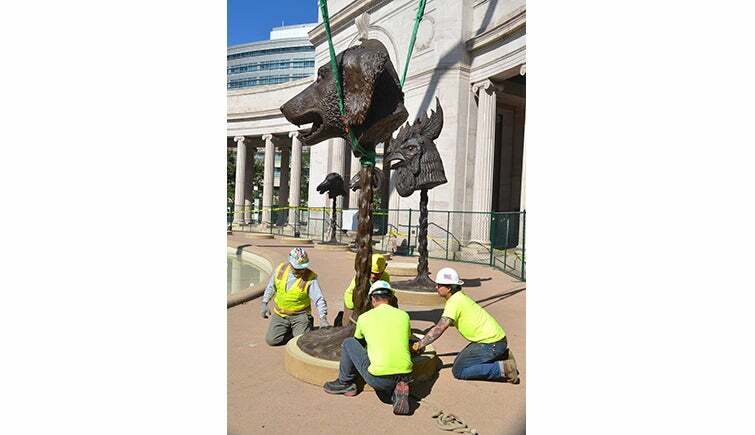 Internationally acclaimed Chinese contemporary artist Ai Weiwei has reinterpreted the twelve bronze animal heads representing the traditional Chinese zodiac that once adorned the famed fountain-clock of the Yuanming Yuan, an imperial retreat in Beijing. 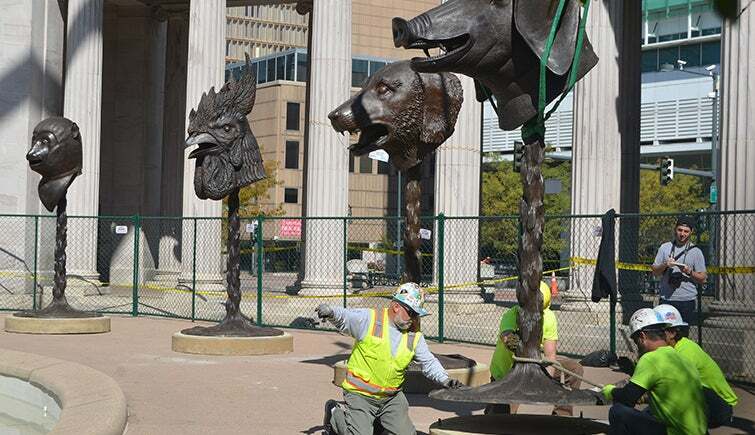 "Circle of Animals/Zodiac Heads" is the artist’s first major public sculpture project. 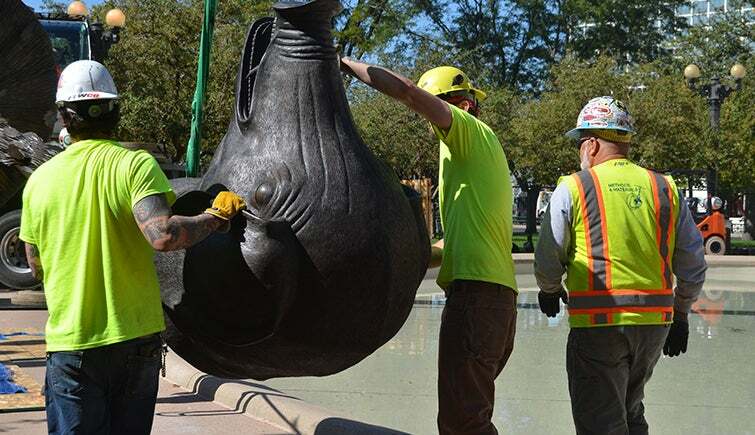 Denver Arts & Venues, with support from Bonfils-Stanton Foundation brings Circle of Animals/Zodiac Heads to Civic Center Park in Downtown Denver from October 2017-October 2018 where the bronze pieces will surround the Sea Lions Fountain on the north end of the park. 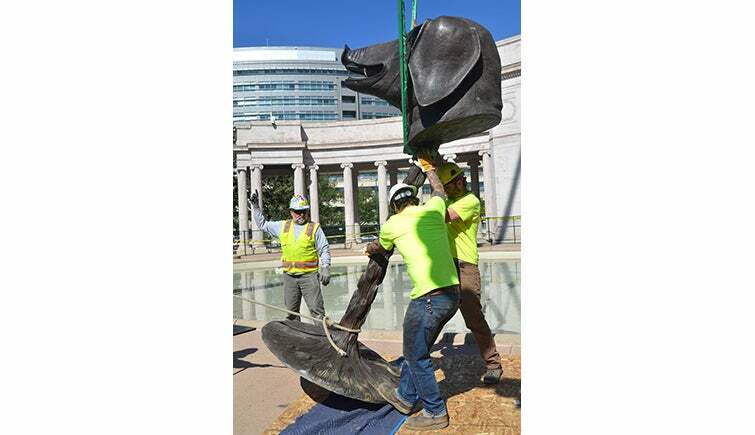 A complementary educational exhibit, "Ai Weiwei: Art & Social Change," will be housed in the McNichols Civic Center Building (144 W. Colfax Ave.), a stone’s throw away from the sculptural pieces. 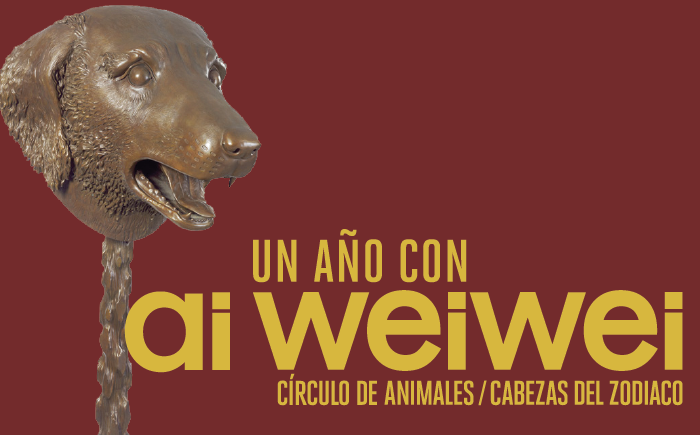 The Chinese zodiac signs form a recurring 12-year cycle, and each year is represented by one of 12 animals. The year a person is born determines their zodiac sign, and this is believed to affect their personality. 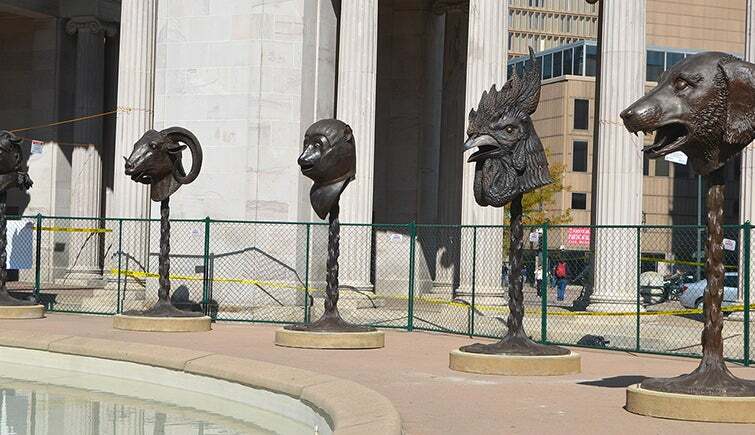 Learn more about the zodiac signs that inspired the twelve bronze heads, and discover your zodiac sign. 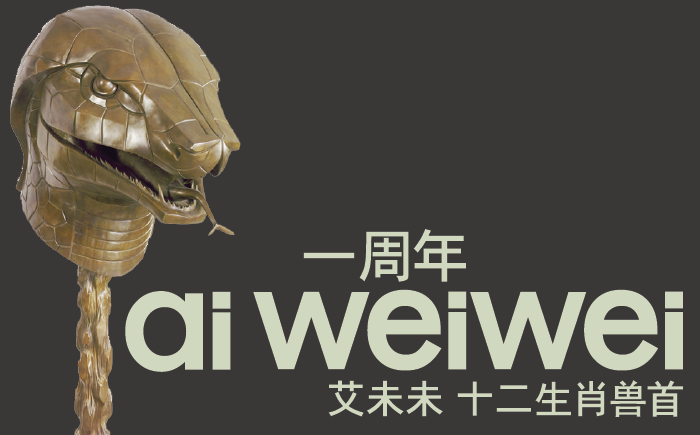 Ai Weiwei is one of the most compelling figures working in the spheres of international art and political activism. 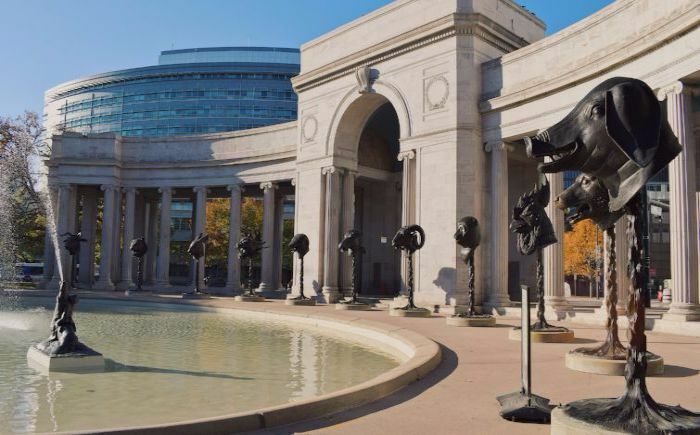 His extraordinary range of creative articulation is unparalleled among his peers—from provocative large-scale museum exhibitions that reference traditional Chinese art forms, to candid Instagram posts at impoverished refugee camps around the world, Ai’s fearless spirit is widely recognized as the heart of his artistic practice. In recent years, Ai’s outspoken stance regarding freedom of expression and basic human rights for all people has established him as leader in the conversation concerning humanity today. 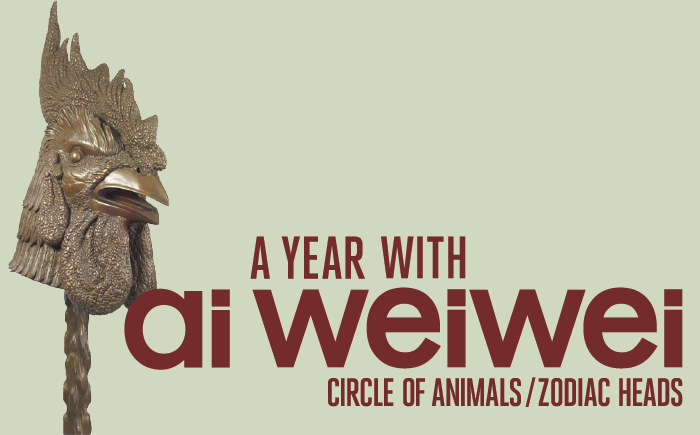 A Year With Ai Weiwei from Denver Arts & Venues on Vimeo.